Does your vehicle have a vibration problem? NVH takes the guesswork out of fixing it! There are over 278 possible causes of vibration concerns on today's vehicles. 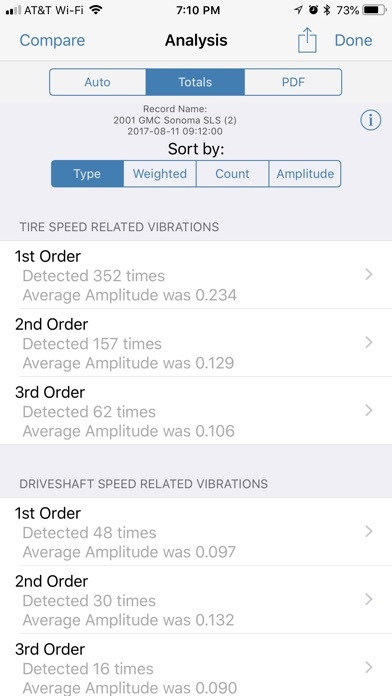 The NVH App can automatically tell you the exact type of vibration your vehicle is experiencing . Next, the App will guide you to find the exact cause of the vibration by following step-by-step diagnostic and repair procedures. Take NVH with you on a road test and know for certain whether your issue is: - Tire speed related - Driveshaft speed related - Engine speed related And then follow the built-in troubleshooting steps and videos to know how to fix the vibration. More than "Just an App," this is a tool for professional service technicians as well as anyone with a vibration concern on their vehicle. KEY FEATURES: - QUICK, ACCURATE AND PRECISE: The NVH App can be setup and ready to begin diagnosis in as little as 30 seconds! 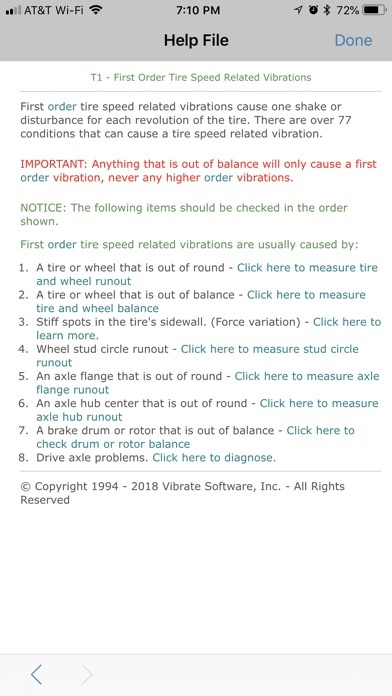 - VIBRATION DIAGNOSIS: Place or mount your device against a solid surface in your vehicle and the internal sensors will measure and analyze your vehicle’s vibration problem. - LIVE RESULTS: Watch one of three different displays that show you live measurements of your vibration in different ways to make sure you have all the information you need. - MULTI-PART ANALYSIS: - AUTOMATIC: Not sure how to interpret your results? 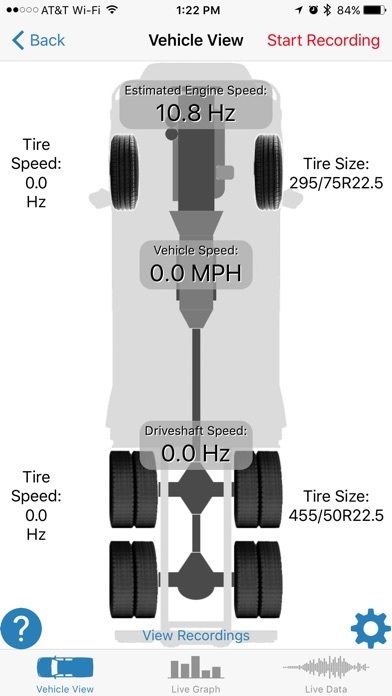 NVH will analyze your road test for you and tell you which type of vibration problem your vehicle has. - TOTALS: Want to get into the numbers yourself? 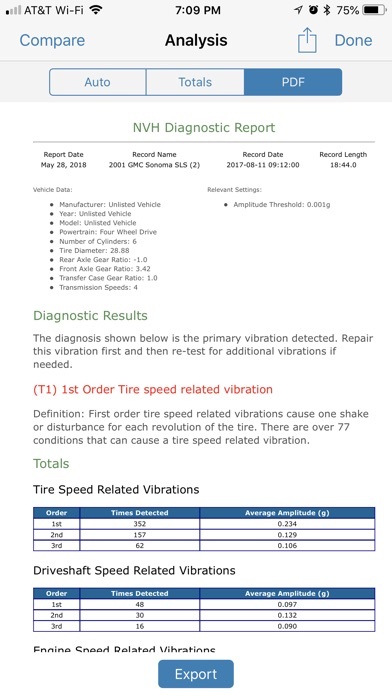 NVH shows you the statistics for each type of vibration detected and will break it down by vehicle speed to give you even more information. - PDF REPORT: print, email, or save a PDF diagnostic report showing all the details of the analysis. 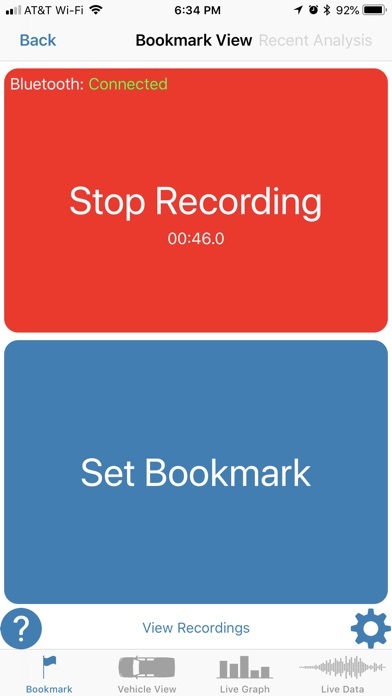 - RECORD: Record your road test and watch it again in real time or pause and go through it step by step. - SHARE: Want another field service engineer, mechanic, or friend to see your test and give their opinion? Export your recordings to a NVH file so they can import it into their device and view your recording and it’s analysis. Can also print or send a pdf report detailing the analysis of the recording. - VEHICLE DATABASE: NVH has an extensive database of 14,300 vehicles to choose from so that you can just pick your vehicle and go! 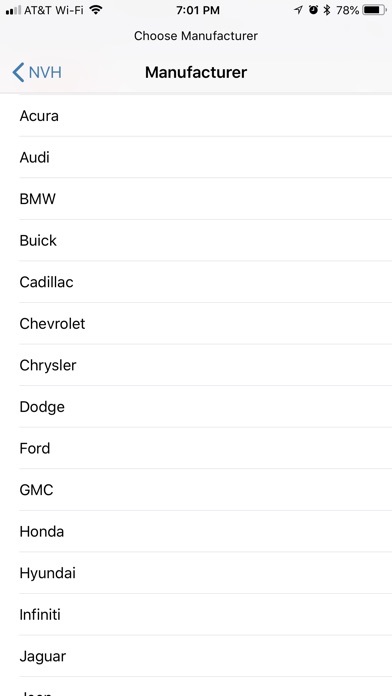 Can’t find your vehicle in the database? Not a problem! You can manually enter your vehicle’s information and save it for future use. 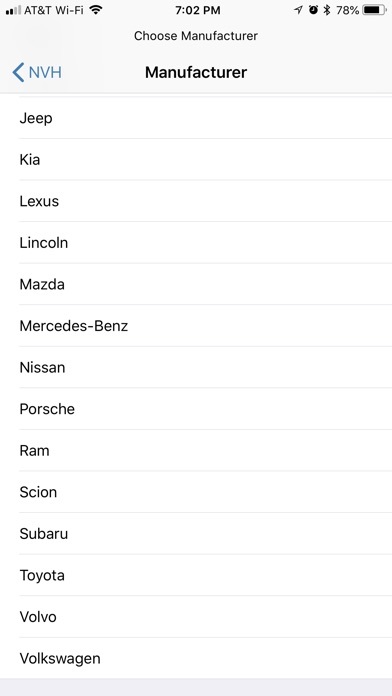 To see a list of vehicles in the NVH vehicle database, or to see what information you will need to know about your vehicle if it is not in the database, visit http://www.vibratesoftware.com/nvh/database.htm. - DIAGNOSTIC HELP AND VIDEOS: Whether you are a seasoned field service engineer, experienced technician, or a self-made mechanic, NVH’s comprehensive diagnostic help file has something for everyone. Read through detailed instructions and information accompanied by hundreds of photos and dozens of videos. With over 28 years of vibration diagnostic expertise built in to the troubleshooting steps, you will be in good hands. - SUPPLEMENTARY TOOLS: NVH contains a suite of extra tools to help with various automotive tasks: - Determine the rotational speeds of various automotive parts using a strobe light - Measure driveshaft angles - Check the accuracy of your speedometer - Measure raw vibration frequencies and amplitudes OPTIONAL BLUETOOTH OBD-II DLC INTERFACES: - PLX Kiwi 3 (16 pin, 250k 9 pin) - Nexiq Blue-Link Mini (250k and 500k baud) These tools will read engine RPM directly from the vehicle and use it for engine speed related vibration diagnosis NOTE: This application is intended to be used by a passenger in a vehicle, not the driver. Do not attempt to enter application information or adjust your mobile device while driving. Failure to pay full attention to the operation of your vehicle could result in death, serious injury, or property damage. You assume total responsibility and risk from using this application. Be careful when you purchase this app. I purchased this app and had an iPhone. I was concerned about paying this much for an app. I call the developer before I purchased and ask about the app if I went away from an iPhone. I talked with the developers son and he told me he was not sure at that time how that would work. Well my phone contract is up and I went to an Android based phone, I contacted the developer and to my disappointment it does not transfer. This is a lot of money to pay for an app that makes you tied down to a phone brand. You better be sure about you phone before you buy. now the app works great when I had it. Very disappointed I spent that much money and it gone. Really like the app, I use it for work and still trying to find the best ways to utilize all the data it provides but very helpful in quantifying that info Would like to see the ability to pick the quantity of driveshafts in the angle measurement tool. So all those joints could be calculated. This is an easy to use, accurate program for isolating vibrations. You’re up and running in 5 minutes. As a service professional, it saves time and the results are easy to understand. I’ve used other devices that require complicated setup and calibrations. That is not this program. I recently purchased this app to correct vibration problems with my vehicle. Initially there were problems, I got quick support which corrected the problems, now the app works great. The videos for correcting the vibration problems are first rate in showing how to correct any problems you might be having with your vehicle. I highly recommend this app for your toolbox. 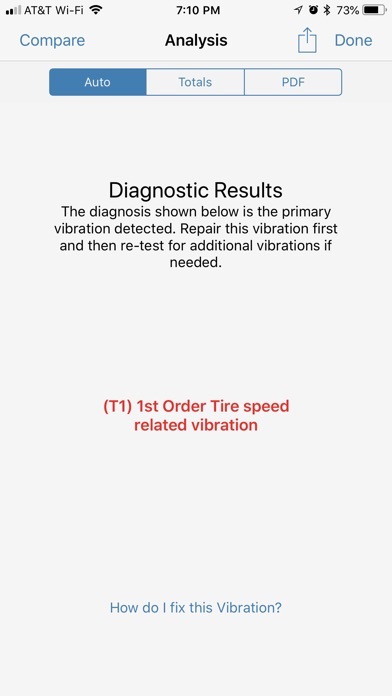 This app was a great help in trying to make the dealership take my vibration issue seriously. It gave me data to back up what I was feeling. Well worth the money. 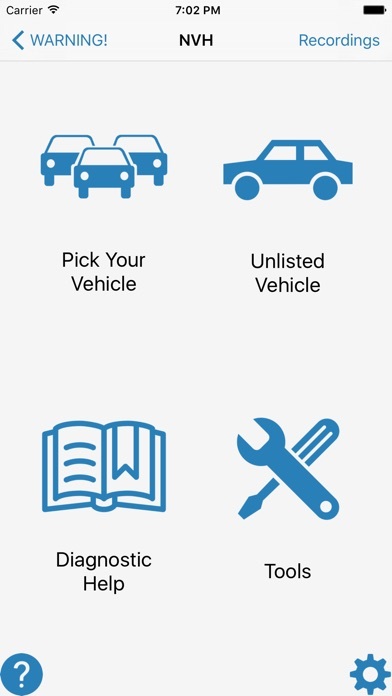 This has been an invaluable app at my shop and in the field doing vehicle inspections. Proves the point every time. You may know from your experience the source of the vibration, but this app will give you the empirical data to pinpoint the source of a vibration. Compared to the other equipment available to perform these tests which costs thousands, this app is a great value. Good stuff, just get it! 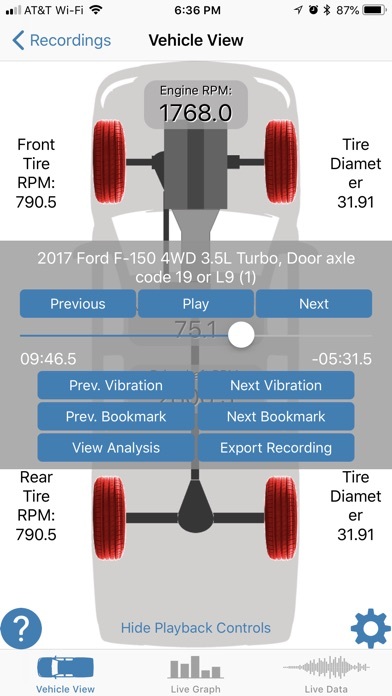 I highly recommend this app for anyone looking to diagnose a vibration. It's an excellent app with excellent support. The videos have been priceless in helping diagnose and repair vibrations that my mechanic said he didn't want to even try to diagnose. At a time when the car manufacturer recommended throwing parts at my car (first wheels, then driveshafts) this application helped me narrow the problem down to a much cheaper part. I've even used it on test drives while looking for a new car for my wife. The user interface is intuitive and easy to use. More by Vibrate Software, Inc.